I wouldn’t be the well rounded nearly 33 year old Queerling without the monumental vinyl coaching on life, love, regret and happiness that one Mary Isobel Catherine Bernadette O’Brien gave me starting in my Pre-Teen years. Dusty Springfield is a legendary Queer Icon for a reason, and even 16 years after her death, her recordings feel like little secret notes that support me everyday. The remarkable intimacy, her balance of exuberance and sorrow and the stitching that weaves such emotions together are some of the finest vocal performances of the past Half Century. My love affair with her started with hearing “Some Of Your Lovin” in some TV movie. That lush ballad entranced me and taught me quite a few things about navigating hearts shared and love earned. Like many of the songs she covered and made her own, she noted the nuance of the originals while never abandoning her own identity of such recordings. My absolute favorite performance of hers comes from a huge source of her idolization. Justine “Baby” Washington eeked into the Billboard Hot 100 with her original version of “I Can’t Wait Until I See My Baby’s Face” in 1964. Dusty’s version, however, most closely parallels Aretha Franklin’s 1965 version, which begat us Madeline Bell’s note for note cover that same year. Where I give the tip of the hat is that where Aretha plays it cool, and Madeline is hot as hell, Dusty gets the meat of the mixed emotions of being in love with a player and loving them despite their faults. The peaks of righteous indignation and the valleys of self doubt are explored and uncovered equally all the way to the bittersweet resolution. I’ve always felt comforted by the complexity of lyric in this song, and Dusty does the most quixotic emotional justice to a song that saw covers by The Velvelettes, The Monticellos, Sonji Clay and Dee Dee Warwick as well. 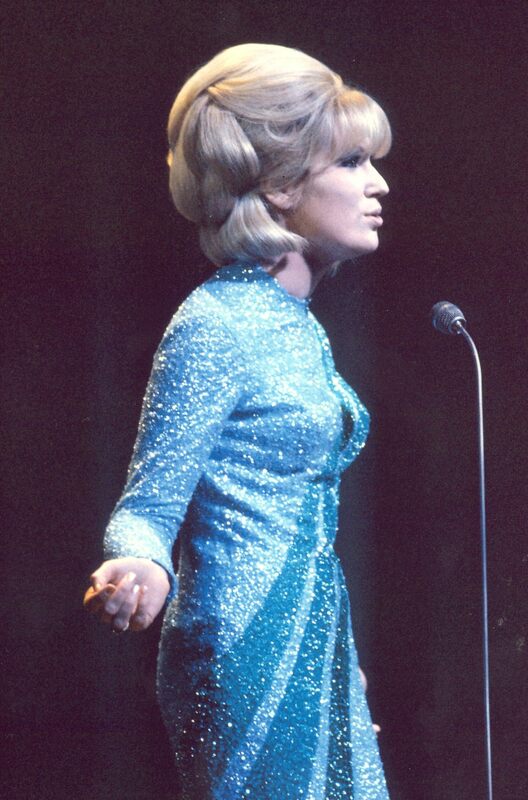 Happy Birthday Dusty Springfield, you’re gone, but always in my heart.